The Colorado Avalanche Hockey Club announced today that the team has signed defenseman Nick Holden to a three-year contract extension through the 2017-18 season. Holden, 27, finished second among Avalanche defensemen with 10 goals while appearing in 54 games during his first full NHL season in 2013-14. The St. Albert, Alberta native ranked fourth among Colorado defenders in points (25) and assists (15). 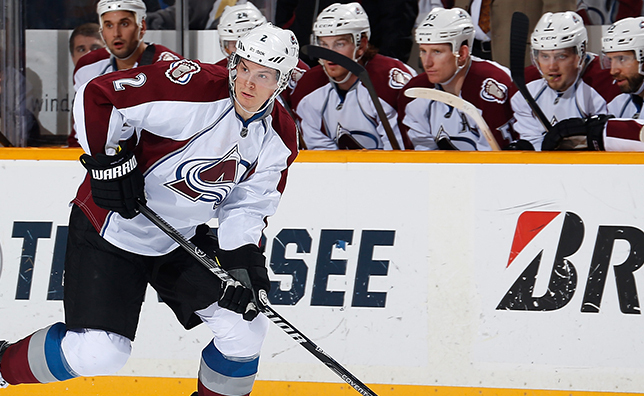 Holden’s +12 plus/minus rating finished second among Avs defensemen and fifth overall on the team. Holden went on to lead all Colorado defensemen with three goals and four points (3g/1a) in seven games during the Stanley Cup Playoffs. He finished with a team-high 25 hits in the postseason. Originally signed by Columbus as a non-drafted free agent in 2008, Holden signed a two-year contract with the Avalanche last summer on July 5, 2013. The 6-foot-4, 207-pound blueliner has appeared in 61 career games between the Avs and Blue Jackets, totaling 25 points (10g/15a).